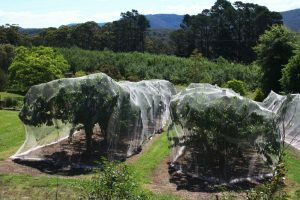 Developers have been warned to take more care to protect wildlife habitats when undertaking construction projects following concerns raised over netting being placed over trees and hedges. In a letter to developers, Communities Secretary James Brokenshire MP reminded developers of their legal obligations to consider the impact of their work on wildlife and take action to protect habitats where necessary. He advised them that birds are protected under the Wildlife Countryside Act 1981, and that mitigation plans need to show how developers will avoid or manage any negative effects on protected species during their work. Netting is now frequently placed over trees and hedgerows, unnecessarily enforcing a trap to wildlife. If developers breach their obligations, the Secretary of State said he would not rule out further action to protect the UK’s ecological system. Developers will be expected to deliver biodiversity net gain through the forthcoming Environment Bill, meaning habitats for wildlife must be left in a measurably better state than they were before any development work started. Mr Brokenshire said: ‘Whilst building new homes is vital, we must take every care to avoid unnecessary loss of habitats that provide much-needed space for nature, including birds. Martin Harper, the RSPB’s director for conservation, added: ‘We cannot keep trying to squeeze nature into smaller and smaller spaces or demand that wildlife fits in with our plans. ‘Across the UK wildlife is vanishing at an alarming rate, and our planning system must play a vital role in not just reversing this decline but helping nature to recover. Syntegra’s Director of Ecology Services, Trish Holden, welcomed the Secretary of State’s intervention and endorse Natural England’s comments. She said: ‘All too often we see developers failing to take these responsibilities seriously and flouting their obligations. It is vital that we all do everything we can to protect wildlife habitats and focus on building the most sustainable developments possible at this critical time for our environment. ‘We still need to understand a site’s overall value to wildlife and mitigation must be appropriate and if netting is to be used as a last resort then the surveys carried out will ensure that the netting used is appropriate for the site. Previous Post What does it mean for green policy?